LONTAR #3 Ebook Now Available! 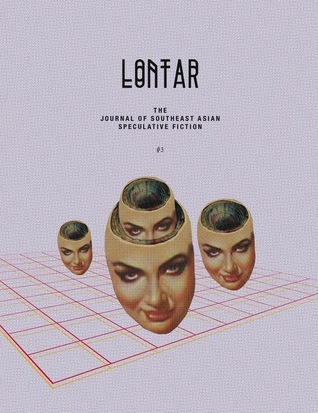 For those of you lamenting the absence of an electronic edition of LONTAR issue #3 (Autumn 2014), rejoice! The DRM-free ebook is now available at Weightless Books, for the mere paltry payment of $2.99 USD! As with the previous two issues, this one is available in both ePub and Mobi formats. Many thanks once again to Gavin and everyone at WB for their support of our little journal. And, to entice you even further, Weightless Books is offering a special deal for this week only, where you get issues #1 and #2 completely for free if you buy #3. That’s like getting each issue for only one US dollar! If you haven’t already jumped aboard the LONTAR bandwagon, there’s no better time to do so! I’m very glad that this issue is now available for e-readers everywhere. For those of you outside of Singapore, this is probably the best (or at least the least expensive) way to read it. So go ahead and nab your own ebook copy of issue #3, and get issue #1 and issue #2 bundled for free. Remember, that the offer only lasts until the end of this week, so get them today!